As long as humans have been playing cards, people have been trying to find ways to beat those games. The great game of blackjack is no different, and as it became more popular, enthusiasts and math experts started looking for ways to overcome the house. It started with basic strategy, but it was'nt sufficient to win in the long run. Enter card counting, the ingenious yet simple strategy which professional used to trounce casinos for millions of dollars. When there are more high cards remaining in the deck, the advantage goes to the player. When there are more low cards left in the deck, the house holds the advantage. That’s it. 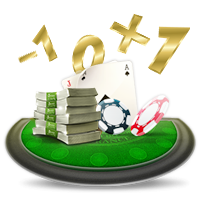 While many assume that blackjack card counting is some clever trick used to cheat casinos, it’s really a matter of adding and subtracting small, simple numbers to establish the potential of the deck. Cards 2 through 6 get a value of +1. Anything between a 10 and an Ace is designated as a -1 value. Everything else – 7, 8, and 9 – is neutral and carries a value of 0. "While many assume that blackjack card counting is some clever trick used to cheat casinos, it’s really a matter of adding and subtracting small, simple numbers to establish the potential of the deck." Once you’ve generated a running total, you need to convert it into a true count by dividing your total by the size of the deck left. For example, if you’re playing with two decks, divide your total by two to get the true count. If the count is high, this means there are more high cards left in the deck, making it a good time to increase your bet. If the count is low, the deck is stacked in the house’s favour, and it’s time to size down your bets. Keep in mind that card counting only slightly increases a player’s odds of winning. So while it may be possible to beat the casino in the long term using this strategy, it’ll take a lot of time and effort to realize this slim mathematical edge. As mentioned, counting cards online is a different story. Knowing how to count cards will not help you online as a virtual casino will use a random number generator and not decks of cards. For all its potential benefits, blackjack card counting only gives the player a slightly better chance of winning than the average player. So, while some players might be able to take a casino for millions, it takes work. The strategy of using a card counting team was employed by the famous MIT blackjack team. Hailing from the Massachusetts Institute of Technology, this group of mathematically-gifted blackjack card counters reportedly won millions of dollars during their time at the felt, and their story has been made into several books and movies. During the MIT blackjack card counting team's run, it's estimated that they took various casinos for $8 million, and because of this, practice became a lot more dangerous. Because casinos are now aware of how effective counting cards can be, they started to pay much more attention to anyone using this betting strategy. Is Counting Cards Illegal in Blackjack? No, counting cards isn’t considered illegal. Although casino proprietors will lead you to believe otherwise, the reality is that you cannot be prosecuted for blackjack card counting. Indeed, numerous people have been deemed not guilty of fraud by various judges because card counting is simply a process of tracking the deck. However, despite blackjack card counting being nothing more than a profitable use of numbers, casinos will still try to convince you that it's cheating, and in some cases may remove you from their property. While counting cards work in live environments, counting cards doesn’t apply to online blackjack games. The reason is that online sites use random number generators to ensure fair play. Additionally, while a player is able see how many decks of cards are in play in a live setting, that information isn’t available online, making it a struggle to get a true count of the cards and negating any potential advantage to the player. However, that doesn't mean counting cards online is impossible. 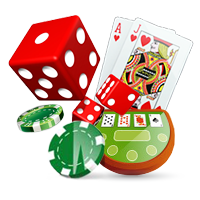 Because a number of operators now use live dealer blackjack tables with decks of cards, it makes it possible to carry out blackjack card counting online. Mathematician Dr. Edward Thorp is the first to introduce the strategy to the public in 1962 in a book called “Beat the Dealer”. The strategy begins to gain prominence, and other authors publish books in the 1970s and 1980s, further honing the technique. This leads to increased win rates for players. Ken Uston, also known as the “Blackjack Man” moves to Atlantic City in the late 1970s and forms a profitable blackjack card counting team. After being banned from a number of casinos, Uston files a lawsuit claiming that casinos don’t have any right to ban card counters. He wins the lawsuit. Casinos are forced to change their dealing techniques to counter the strategy, including adding more decks of cards. 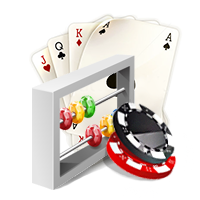 Is Blackjack Card Counting for You? While it's still possible to use card counting techniques to bolster your bankroll, keep in mind that it is a small advantage that will only bear fruit over the long run. If you're thinking about using this information to form a card counting team, do it in a brick and mortar casino, preferably one that uses as few decks of cards as possible. If you’re playing online, it’s not worth it, and sticking to a betting chart that outlines the best basic mathematical strategy is your best bet.